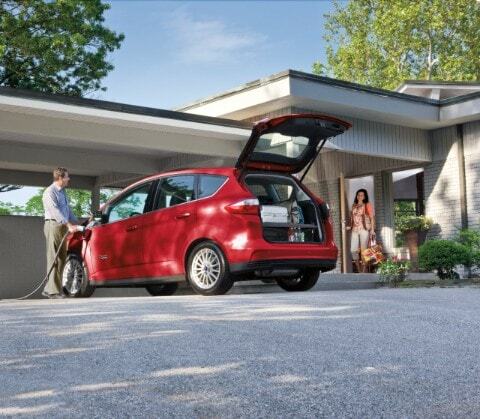 Ford's C-Max has a warm and inviting layout and a comfortable interior. It has tall roof pillars adding to the interior room and visibility as well as extra cargo room. You also have the ability to fold the rear seat down to expand the cargo bay that when measured actually rivals some SUVs in terms of storage space. Another noteworthy point is the great suspension that is featured on this vehicle that shares components with the Ford Focus. It offers a smoother and quitter riding experience which is in turn more dynamic. The Plug In Hybrid Ford C-Max Energi gets a lithium ion battery pack with a range of around 40 miles per gallon highway and 36 miles per gallon in the city. It has a gearless continuously variable automatic transmission and retains its very positive reputation amongst powertrain options. The riding and driving of the Ford Hybrid is amazing with drivers sometimes forgetting that they are in a completely electric vehicle. The instrument cluster is LCD and very vivid and the Hybrid also possesses great acceleration which is amazing because there is added weight of the battery within the vehicle. The cabin has been reinforced with noise dampening technology making the cabin very quiet along with great handling thanks to a sensitive steering wheel and steering system. The C-Max's tall roof, expansive glass and raised seating position that provide a commanding view of the road ahead. The My Ford Mobile application takes technology's use to the next level with the ability to check charge levels, charge times as well as charging station locations which helps make driving long distances smoother with less worry all-around. When the Energi is at highway speeds there are grille shutters that close automatically and reduce the drag on the front end allowing for better operation. The interior is full of comfort and utilizes soft touch materials to create a great premium feel that remains affordable. Ergonomics remain excellent along with clear use of buttons and internal functionality are quite good. There is also a generous amount of headroom in all four seats. The exterior of the vehicle takes a more functional approach. The C-Max's taller stature makes it easier for taller drivers to enter and exit the vehicle, while the available power liftgate incorporates a height-adjustable function to accommodate users of all sizes. There are many great amenities coming standard including adjustable seats, folding rear seats, 17-inch alloy wheels and an audio system featuring six speakers that sound great. There is a new SYNC 3 infotainment system with an 8-inch touch-screen display and conversational voice-recognition software. Where is Sheridan Ford located? Can you help me finance my 2016 C-MAX Energi Plug-In Hybrid? This vehicle has grabbed the title of "Top Safety Pick" this year from the IIHS as well as a four-star rating from the National Highway Traffic Safety Administration. 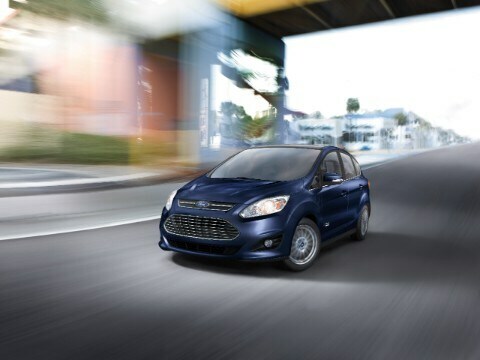 Safety equipment includes seven airbags, a full complement of electronic stability aids and Ford's SOS post-crash alert system that activates the horn and hazard lights in the event of an airbag deployment. This is an amazing edition add on to the lineup the past several years and has most definitely earned a space in your driveway.